Today I stumbled across this lovely visualisation by Pedro Cruz who took the Lisbon traffic system and turned it into a ‘living’ cardiac system. He took the number of vehicles on the road and their average velocity to be the variables controlling the thickness, the color and the length of the vessels. 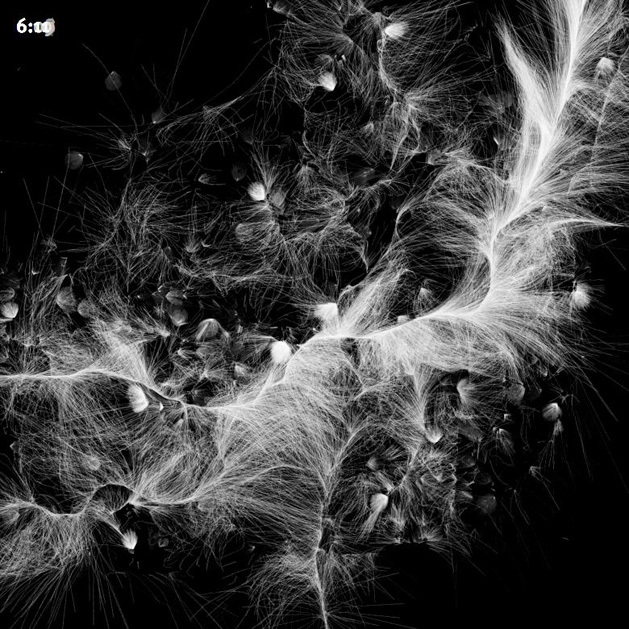 The image below is one of Pedro’s earlier attempts to map the traffic using swarms and particles. I really liked the “changes in the size of historical empires”. I wish we had kept some city or trading outpost in our old colonies (Portuguese), it would be good for both countries.